Segments and their members are now available within Salesforce. You can see all segments that are related to a particular subscriber list along side the number of members in that list, right within Salesforce. Find out if a subscriber is on a particular segment and navigate directly to their associated Salesforce Contact or Lead record. Segment details are retrieved dynamically from Campaign Monitor. They are not available for reporting within Salesforce. 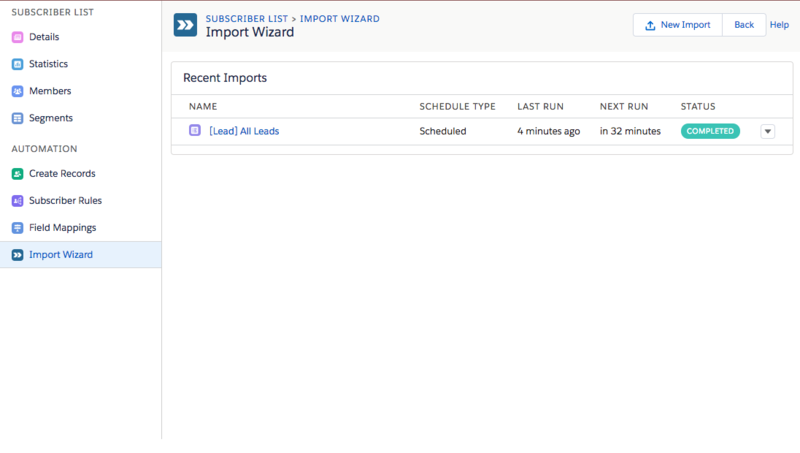 When using the import wizard you can now choose to clear out values in Campaign Monitor if the mapped field in Salesforce is also empty. Values will only be cleared out of Campaign Monitor when a) the 'Clear Blank Values' is set to active and b) the Salesforce field with the blank value is mapped via the import wizard to a field in Campaign Monitor. Clearing values from Campaign Monitor is currently only available via the import wizard. The primary custom mappings screen won't clear out values. Be careful when choosing to clear out values from Campaign Monitor as they cannot be retrieved. Field mappings now has been given a face list with the lighting look and field. The Field Mappings screen (formally Custom Field Mappings) can now be found within a subscriber list. 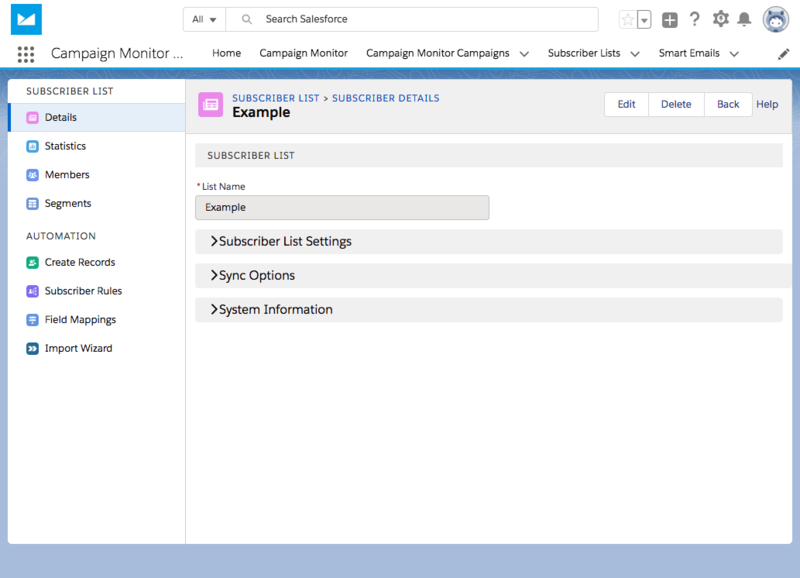 The ability to create new Salesforce Leads and Contacts from new Campaign Monitor now has it's own menu (also on the subscriber list home page).